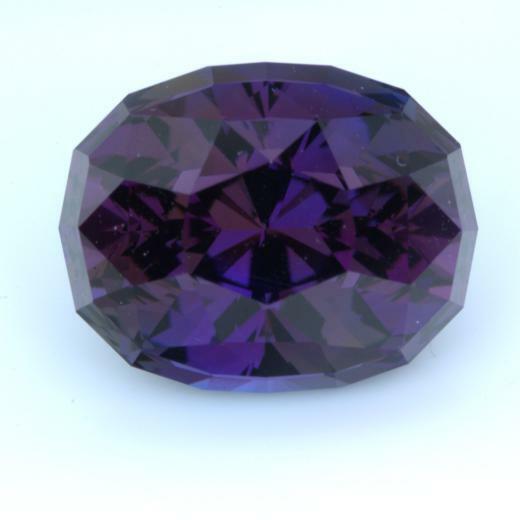 This is not the usual tanzanite that you might expect. 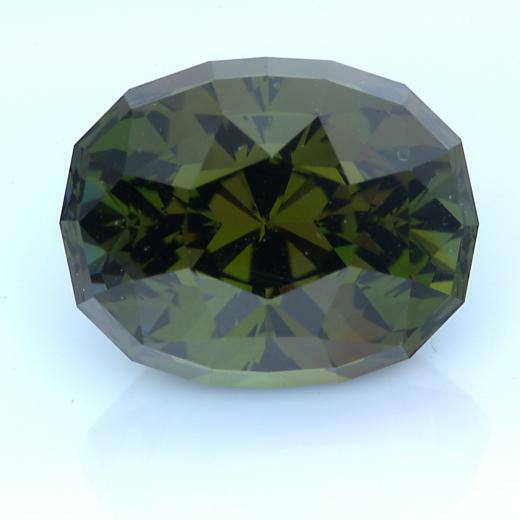 Here we have an unheated trichroic gem that was cut along the c-axis to display this redish violett color with green tints. The color strongly depends on the light you view it in, this photo is shot under studio lights, in daylight it is more violet. 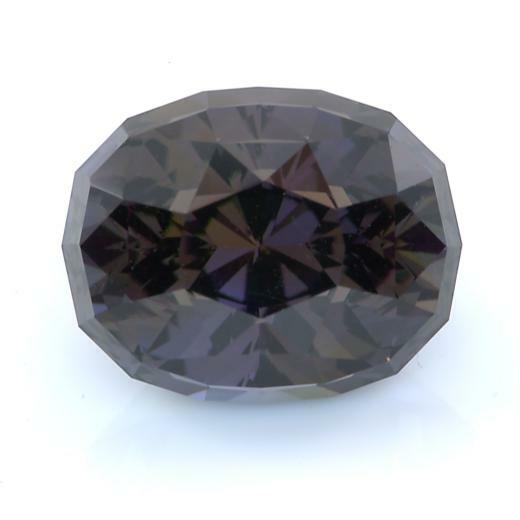 And if like blue more - no problem - some simple heat treatment will produce the typical tanzanite color in this gem. Additional photos show the gem when using a circular polarization filter in two different orientations.